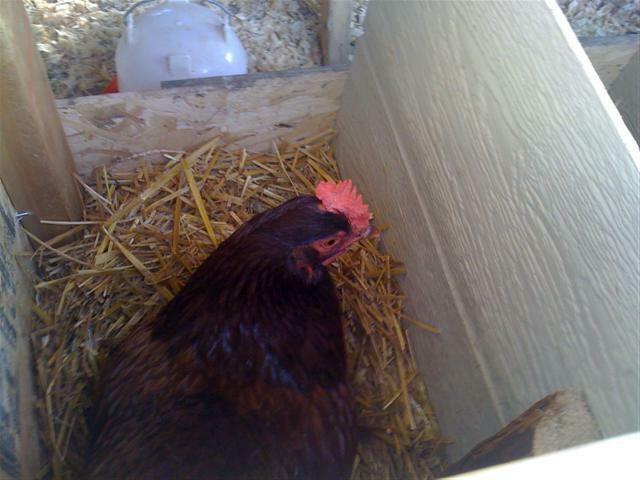 One of my hens is sitting in her box. She thinks I am taking her eggs. We have straw in the boxes and pine shavings inside the main coop where they roost at night. There is also more water inside for them. I put this in there in case the outside water was frozen. We have had a few cold nights and I have not noticed the inside water being frozen. 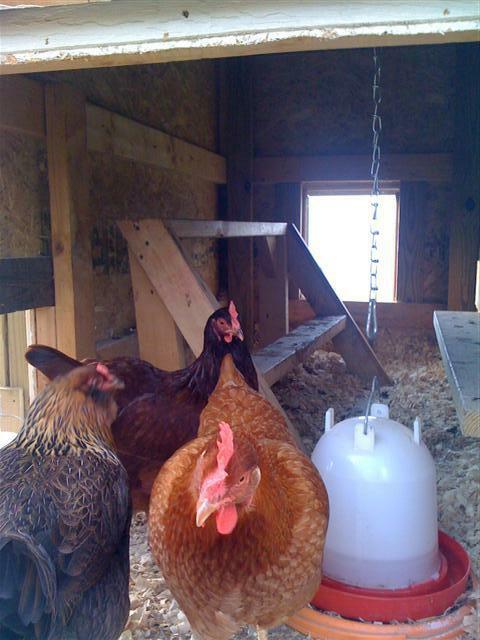 Below is an inside view of the coop where the chickens roost at night. 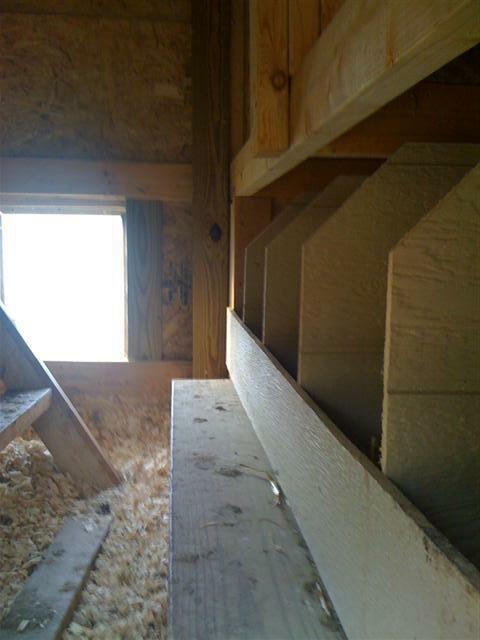 They roost on 2x4's layed flat so that their feet don't get frost-bitten. There is a ledge so they can jump up into the nest boxes. The love to look out the window in the morning and watch me or my son walk up the hill to let them out for the day. A better view of the roosting poles. My hens are curious little creatures. 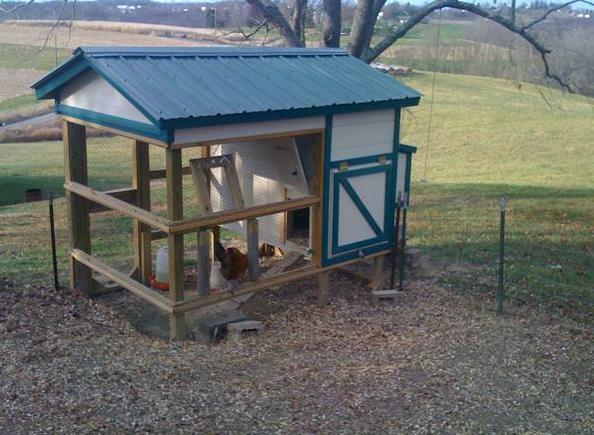 The back view of the chicken condo with the steel roofing and roof cap. This is a completed view (except for a few minor touch-ups with paint). 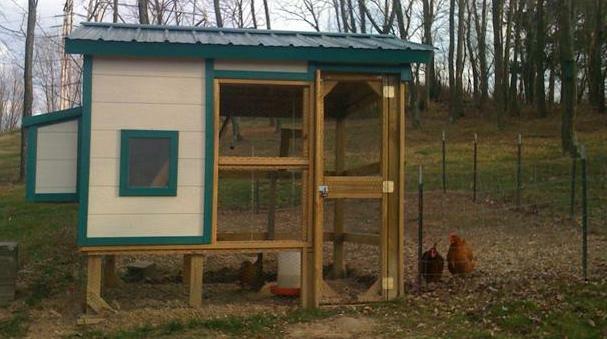 Front view of the completed chicken coop. That's all! I hope this helped another person out there struggling to build a coop for their chickens. Thanks again for the help of other chicken coop designs. Make sure to follow all parts of this coop build.